Exalt provides a wide range of carrier-class upgradeable microwave systems designed specifically to bolster medium- and high-capacity TDM and Ethernet backhaul across today’s leading networks. These all-indoor units include the EX-2.4i series, which was the first carrier-class family of TDD radio for 2.4 GHz, available with 216 Mbps of aggregate throughput. The Exalt EX microwave radios support up to 16 T1 or E1 connections and unit link distances can range up to 30 miles with the “five 9s” guaranteed throughput still achieved. Operators are relying on the Exalt EX series to bring performance and quality to every part of their network thanks to native TDM and Ethernet as well as throughput symmetry control. Units are specifically developed for enterprise and ISP applications, though some models also excel at meeting TDM traffic requirements for both fixed and mobile operators. Why Choose Refurbished Exalt EX Series Radios? Worldwide Supply offers a comprehensive line of used Exalt EX Series radio systems for a broad section of carrier-class deployments, from network expansion to point-to-point system support. By working with us, you’re able to achieve high levels of throughput and reliability but at an affordable rate. Your network deserves high-capacity Gigabit Ethernet support. Exalt EX Series microwaves include the 2.4 GHz 2.4i series as well as the EX-s GigE series in the 6 (upper and lower), 7, 8, 11, 13, 15, 18, 23, 26 and 38 GHz bands. Our in-house testing facilities bring every used Exalt EX series microwave back up to OEM specifications and requirements, so you have exactly what you need for your network. 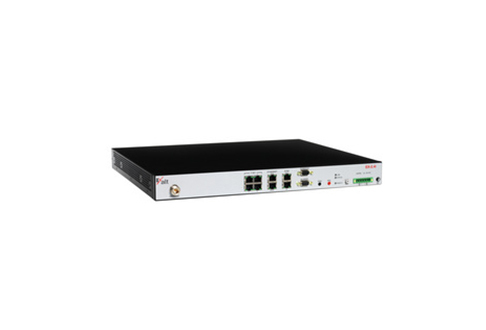 Choose from options that provide 4xGbE Ethernet-only support up to 16 T1/E1 plus one DS3 and four GbE configurations and much more. Each EX unit is fully configurable and designed to scale as you do. That means you can come back for a second round of refurbished Exalt EX series microwave radio systems for further savings and future growth.